You will probably never notice just how important your water heater is for your everyday life until it stops functioning properly. Once you have experienced that first bone-chilling shock from a freezing cold shower you will become a firm believer in the importance of regular water heater maintenance. Here at Star Cities Plumbing & Heating we know you consider a cold shower to be just as much of an emergency as a backed up sewer system, so we are ready, willing and able to be your go-to New York City plumber for all of your water heater repair and maintenance needs. Here at Star Cities Plumbing & Heating we recommend you have us come out for regular water heater maintenance services. 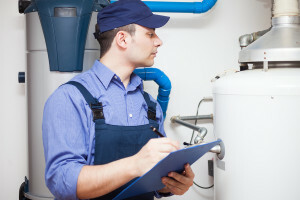 Regular maintenance will help you avoid those unpleasant cold-water surprises that inevitably occur when your water heater malfunctions at the worst time possible. It is much better to maintain your water heater regularly and keep it running smoothly than to repair it after it has broken down and left you without warm water for your showers or for washing the dishes. Of course, we are more than willing to lend you a hand when you need a plumber for any reason, but we recommend regular maintenance to help you avoid those late-night plumbing emergencies. Basically, if there is anything amiss with your water heater or plumbing system and you are looking for a trustworthy Manhattan plumber to fix it, you can rely on us to get the job done right. If you are looking for a plumbing company that offers competitive pricing without sacrificing quality and honesty, you have come to the right place. Here at Star Cities Plumbing & Heating we make it our motto to provide our Manhattan & Brooklyn customers with prompt, affordable pricing and honest services. You can trust us to treat you with the same level of care we would give to our own family members and friends. To find out more about our water heater maintenance services, call us now at 800-547-1422 or contact one of our plumbers online.